Ten years ago, I received this picture from Kandahar – the first women using the computer lab at the Afghan Canadian Community Center (ACCC). Weeks later, classes were underway and enrollment was building. Ten years of women’s education, in the birthplace of the Taliban. Those years were challenging. We navigated a conservative culture, death threats and even assassination attempts against the Director, Ehsanullah Ehsan, only to find ourselves confounded by funding shortfalls, fifty-page grant applications and miles of red tape. But we carried on – with thousands of graduates and a source of income for more than ten thousand residents, more than 1% of Kandahar Province. All from this small, grassroots project. This year presented a new challenge, as our large-donor funding dried up once more. To survive, the ACCC had to shrink significantly, closing the door on many brave, deserving and eager-to-learn students. Your donations to last year’s Dare to Learn Campaign are the reason many women were able to continue learning. Your generosity kept the door open for them, raising $50,000 in scholarships. I’d particularly like to thank those who supported the recent campaign by Mr. David Belluz. Your help came at a critical time. The Dare to Learn campaign was led by a former student, Maryam, who hopes we can do it again together this year. (Read more from Maryam below.) With your support, the women can continue to learn, graduate, get good jobs, and have their classes filled by the next round of eager students. Now operating at a smaller level, ACCC/KIMS can remain sustainable with the help of individuals like you and a few small charities – without having to rely on fluctuating large-donor funding. Thanks to you, we’ve had so many accomplishments this year – the graduation of more than 130 students, new international online classes offered by Pax Populi, Peace Day celebrations, and the ’16 Days of Activism Against Violence Against Women’ campaign. All donations are eligible for a Canadian tax receipt. The first school I attended had no building, no desks, and no books. We sat outside and huddled around a board that leaned against rocks. Every day that I attended school, I was at risk of being attacked by the Taliban, but I loved learning, so I went to school anyway. I worked very hard and I learned to read and write in Afghanistan’s two official languages, Pashto and Dari. I excelled at all subjects and fortunately, when I was 13 years old, I had the opportunity to attend school at the Afghan-Canadian Community Centre (ACCC), so I could learn English and how to use computers. I knew that this modern school was my best chance to give me the skills I needed to make change in my country. I wanted more than anything else for women’s equality in Afghanistan to become a reality. The opportunity to help Afghan women came to me sooner than expected as I was hired by the Canadian Forces to interpret for Afghan women within less than a year. I was putting my life at risk by choosing to work for the Canadian Forces because the Taliban had been very clear that any Afghan working for NATO would be killed. I put my fears aside and chose to work for the sake of a better future for Afghan women. Through my work as an interpreter for NATO, Canadian development officers were able to hear directly from Afghan women for the first time, and were therefore able to direct financial aid to areas where it was most needed. I oversaw gender projects, and provided interpretation for training sessions, interviews, conferences and female councils, throughout Kandahar. Because of the ACCC’s education program for women, their work enabled me to improve the lives of women in Kandahar, and now, I am living in Canada, studying political science and international relations at Carleton University in Ottawa. After I complete my education in Canada, I will return to Afghanistan where I plan to serve my country as a politician who improves the lives of all Afghans, including women. 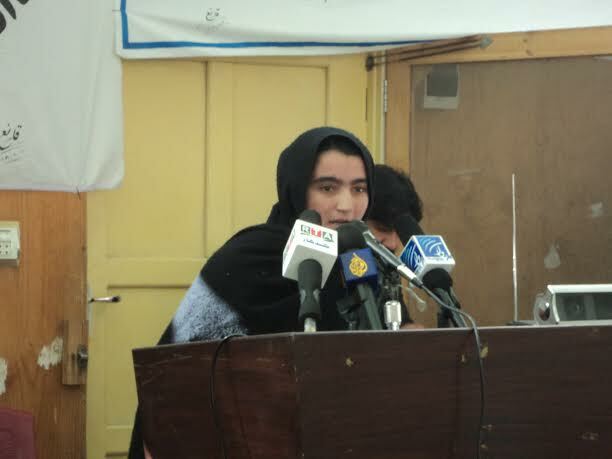 The ACCC has made achieving my dreams possible, and it has done the same for thousands of other Afghan women. It has changed their lives for the better by giving them options and opportunities. We can have careers, become entrepreneurs, earn our own money, and support our families, all while instilling in the next generation the value of education and hard work. Last year 2015, I launched Dare to learn Campaign to raise $100.000 for the school and I was able to raise $50,000 with generous support of Canadian public to keep the school open for a while until Canadian government made their decision but unfortunately they refused to fund the school. I still want to hit the goal of $100,000 and would highly appreciate any generous support to the Afghan Canadian Community Centre to make sure Afghan women keep getting education. Please see below for a stock letter that you can send to your Member of Parliament to express your support for the Afghan-Canadian Community Center and its sister organization the Kandahar Institute of Modern Studies. We would encourage you to personalize this letter and to change it however you see fit. To find your MP’s name and address, please click here. I live in your riding and am writing to ask for your support for a recent grant application submitted to Foreign Affairs, Trade and Development Canada. The grant was submitted under the Promoting the Advancement of Women and Girls’ Rights and Empowerment in Afghanistan program. 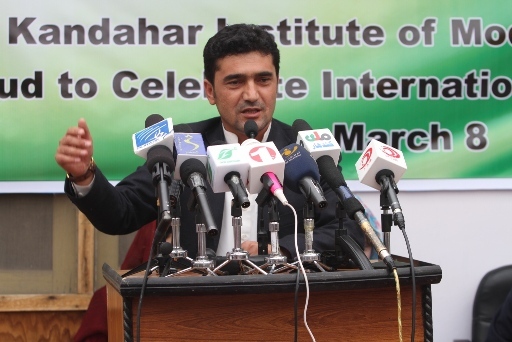 The Afghan non-government organization (NGO) involved is well-respected in Kandahar and internationally. They have an incredible track record in providing effective, career-oriented women’s education. They are well-run, incredibly cost-effective, and previous recipients of Government of Canada grants. All in all, it’s hard to imagine a better fit for the current government grant. The NGO I’m referring to is the Afghan Learning and Development Organization (ALDO), part of the Kandahar Institute of Modern Studies and the Afghan Canadian Community Center. The specific program related to the grant application is called the Women’s Skills for Rights and Empowerment Program (WSRE). From the beginning in 2006, ALDO has partnered with the volunteer-run registered Canadian charity called the Canadian International Learning Foundation. 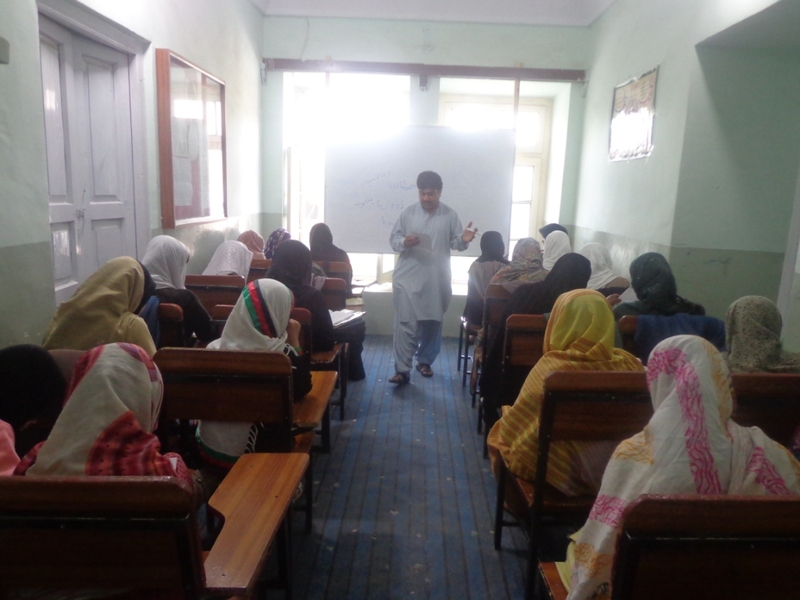 Essentially, ALDO’s main project is a single school in Kandahar. Through slowly building its community relationships and reputation, it has grown from educating a handful of brave women in 2006 to now educating 1,500 students annually. Most of those students are female teens and young adults, and they consistently go on to get good jobs and support 4 family members each, on average. Through this network of graduates and family members, ALDO has now helped 1% of Kandahar province, an amazing accomplishment for one school and a Government of Canada investment of $545,000 to date. Through its students’ achievements, it has also made a profound statement to the community about the value of women’s education and of women overall. Gone are the days of the school’s director having to beg families to send their daughters to class. Supporting ALDO’s Women’s Skills for Rights and Empowerment Program (WSRE) would not only provide multi-year funding to support more women’s education, it would also provide Canadians the chance to get involved in the Government of Canada’s international development activities and to learn the skills needed to play an active role in advancing the cause of education around the globe. Through online volunteering, Canadians can interact with ALDO and its students, helping them build their English, communication and other skills. I ask that you please contact the Hon. Minister Marie-Claude Bibeau to ask that she give ALDO’s Women’s Skills for Rights and Empowerment Program serious consideration. The proposed $5 million grant represents a small fraction of the Government of Canada’s total Afghan spending, but has the potential to be a lasting pillar of Canada’s legacy in Kandahar, and in Afghanistan as a whole. With the school’s strong track record and excellent reputation both in Kandahar and internationally, it represents a low-risk, high-return investment in the lives of Afghan women. For more information, please contact the Canadian International Learning Foundation at [email protected] or (613) 503-5349. For your reference, I am personally involved with this organization as their President. I am thrilled to announce that this year’s fundraiser will be run by Maryam Naqibullah, a former student of the Afghan-Canadian Community Center now living in Canada. This campaign could not have come at a more important time – government funding for the Afghan-Canadian Community Center and its sister organization, the Kandahar Institute of Modern Studies, came to an end earlier this fall. I regret to say that, without renewed support from our donors or from the Government of Canada, ACCC / KIMS will be forced to close within a few short months. Please read below for a letter from Maryam about this campaign. If you’d like to help, we’d encourage you to donate or to write your Member of Parliament via our easy-to-use online tool. My name is Maryam Sahar Naqibullah, a 21-year-old female and former Afghan interpreter for the Canadian Forces in Kandahar, Afghanistan. I now live in Ottawa studying for a double major in International Relations and Security at Carleton University. As the first member of my family to achieve literacy in any language and attend university, I owe a tremendous amount of gratitude to the Canadian people (through the Canadian Government) and the Afghan-Canadian Community Center (ACCC) in Kandahar where I was educated. As the youngest and only female interpreter for the Canadian Forces, I was granted permanent residence in Canada in 2011 as part of the Afghan Interpreter Immigration Program. I was accepted into Carleton University in 2013 and attend part time while juggling numerous other commitments that include working as a learning advisor for the Ministry of Defence. I am testament to the success of the Canadian mission in Afghanistan and the critical importance of educating women. I was raised in Afghanistan during the time of the Taliban and was only able to attend schools like the ACCC and get educated because of the Canadian mission. I hope to return to Afghanistan and play an active role in politics continuing the work started by Canada to improve the life and opportunities of Afghan women. The ACCC was started in 2006 with funding from individual Canadian donors and the Canadian International Development Agency. The school has been educating women in Kandahar with the help of the Canadian International Learning Foundation and the Southern Alberta Institute of Technology. 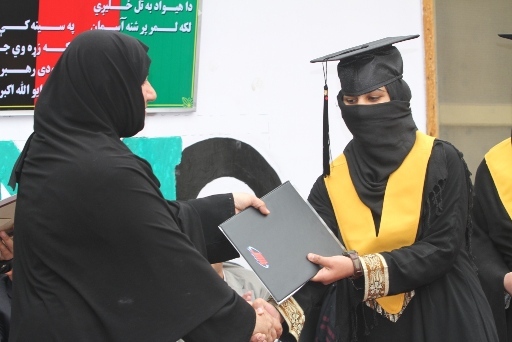 As the only girls’ school it provides over 1,100 women students in Kandahar a shot at creative and innovative skills and employment-oriented education in Business Management, Communication, Information Technology and English language training. 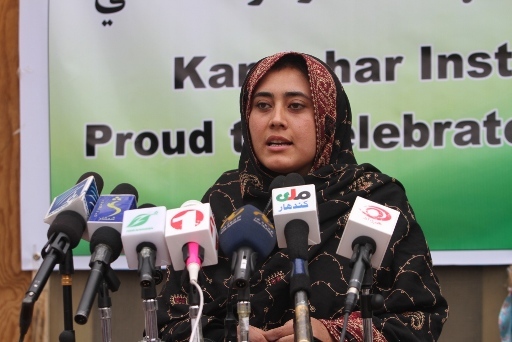 The skills that women in particular obtain at the ACCC help them enhance their roles in Kandahar’s communities, increase their participation in social, political and business activities, and improve their political and socio-economic standing within Kandahar’s deeply conservative society. After women graduate from ACCC, their capabilities and skills allow them to make independent decision, secure better employment and provide the key necessities of life not just for themselves, but for their communities and families as well. In return, women have an increased role and influence in both social and political life in the society. People from different age groups and backgrounds have benefited and continue to benefit from ACCC’s educational programs. The students come from local high schools, universities and from various communities in Kandahar. To some women, the ACCC is the only school they can turn to if they want to learn new skills currently in demand by civil society and local economy. To others, it is the only education they receive. Since ACCC opened, more than 2300 women graduated. 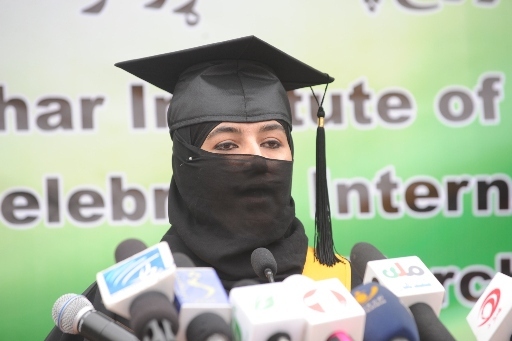 Over 700 graduates have secured employment or promotions, providing a source of livelihood for an estimated 14,000 Kandahar residents. 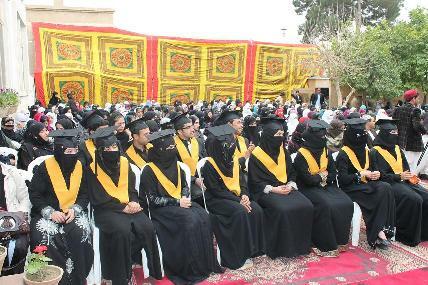 Most of the women working in professional jobs in Kandahar are graduates of the ACCC. 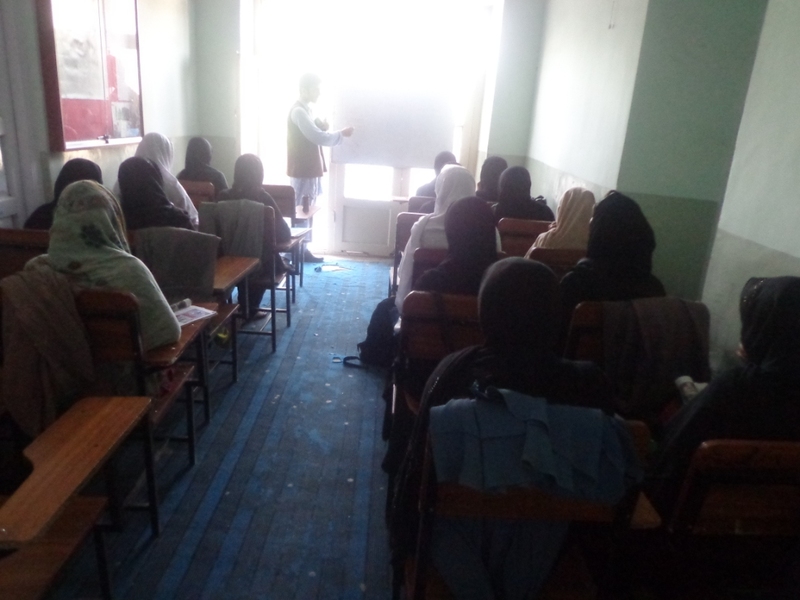 Around 180 women were enabled to secure scholarships and study at English medium universities both inside and outside Afghanistan. The reality is that none of these accomplishments would have been possible without the success of ACCC. 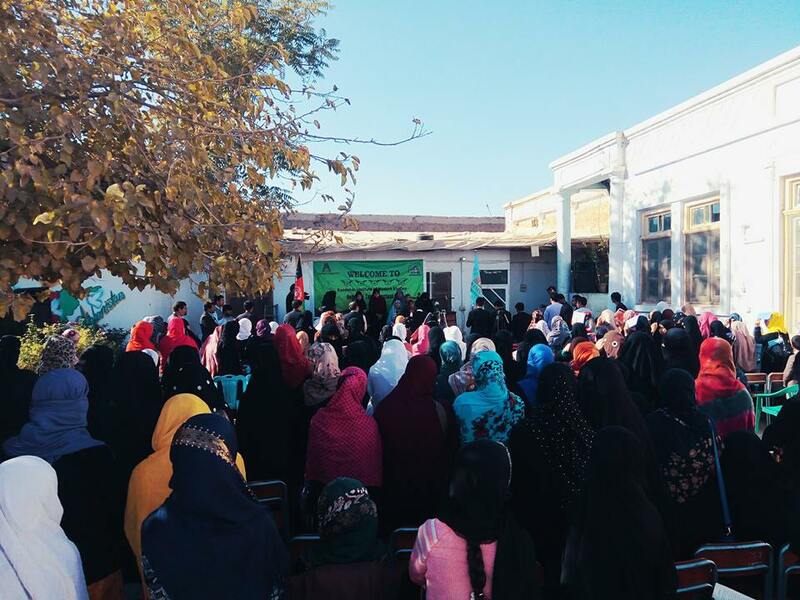 ACCC is the largest community learning institution in southern Afghanistan that has been able to regularly attract and keep large numbers of women students, who risk themselves to get education and modern skills outside their oppressive home environments. The skills taught by ACCC greatly improve graduates’ leadership, confidence-building, public speaking, critical thinking, and employment prospects. The model that ACCC utilizes is both simple and effective – it is a technologically savvy, internet-enabled community educational institution managed within Kandahar existing cultural and traditional values and led by the local community, supported by a wide range of international volunteers and NGOs. International support from volunteers and NGOs allows the institution to access modern teaching facilities such as online courses, innovative ideas and technologies. These technologies and cross-cultural interactive environment help students obtain hope through interaction with other likeminded students, teachers and people, both inside and outside Afghanistan. The ACCC owes its existence to the sacrifices of the Canadian people and the Canadian heroes. My parents have always told me that there is one country that has supported and still supporting my dream of getting a higher education and that’s Canada and its kind people. I was given the chance to live a peaceful and prosperous life by virtue of the ultimate sacrifices paid by the Canadian men and women in uniform who served in Afghanistan. I know that their spirit lives on forever in the legacy of honor, dignity and integrity that they left for the Kandaharis and institutions like the ACCC. The closure of ACCC would be a significant loss for the Kandahar community, for women’s rights, and international reconstruction efforts. Over 1,100 women are fearlessly defying deep-rooted taboos/unquestioned traditions and are changing shame for freedom and disgrace for opportunity. They fearlessly risk their lives for an education because an education is more necessary for them than water, food and clothes. Without the ACCC these women would no longer have the opportunity to receive the education they need to earn a living for themselves and their families. Afghan businesses and non-government organizations would be denied access to a significant source of professionally trained students. When I was student at the Afghan Canadian Community Center I realized that all students had one common fear; ‘If Canadians stop funding our school, where will we learn?’ Please don’t let that fear come true. If Kandahar loses the ACCC then the sacrifices made by the Canadian forces will have been in vain. More than 1,100 women are putting education ahead of personal safety, food and water; please show them Canada’s support by preventing the closure of the ACCC. Please consider donating to my ‘Dare to Learn’ Fundraising Campaign, which will raise $10,000 this December – enough to fund a class of 25 students. I plan to raise $100,000 in total for the ACCC over the next year. I would also encourage you to please consider writing your Member of Parliament via our easy-to-use online tool to ask for their support for our Women’s Skills for Rights and Empowerment grant application. Thank you for your time and consideration of this vital Afghan school for women and thank you for providing me the opportunity to a life that all Canadian girls expect.